The ketogenic, or keto diet is a low carb and fat-rich eating plan. It’s been around for decades but today, it’s become increasingly popular as a weight loss plan. The key is to stick to strict rules otherwise it doesn’t work. But, one of the hardest times to stick to a strict eating regime is when you’re out for dinner with friends and family. Here’s a guide on how to eat out on keto so that you can stay slim while enjoying quality time with your loved ones. If you love to indulge in a greasy burger or spaghetti bolognese, you’ll have to learn how to substitute your bread and pasta for low carb alternatives. Instead, you could also go for a meal that is naturally low in carbs like steak with a side of vegetables. If you go for a naked burger, don’t be shy to ask for a fat-rich extra like mayonnaise or sour cream. Sauces can be a great way to add healthy fats to a meal. Unfortunately, if you’re not confident in the kitchen, it can be difficult to know which are good keto sauces and which aren’t. As a rule of thumb, avoid sauces if you’re not sure as some restaurants may use flour as a thickener. This is especially true with cheese sauce and gravy. If you’re out for breakfast, hollandaise sauce, mayonnaise, and aioli are usually okay. You can also have a small portion of sriracha or ketchup but don’t overdo it as these are high in sugar. All desserts are a no-go. Most restaurants will make their desserts with flour or a load of sugar. Neither of these two ingredients is good if you’re on the keto diet. The only treat you could go for is a cup of berries with a side of cream. If you fancy something savory to finish your meal, go for a cheese platter. Whatever you do, avoid the bread and biscuits these come with. While a burger joint may not be your best bet, there are other types of restaurants that are great if you’re learning how to eat out on keto. Some of the best options include Mexican and seafood restaurants. Thai and various other Asian restaurants are also great, just ask them to hold the rice. 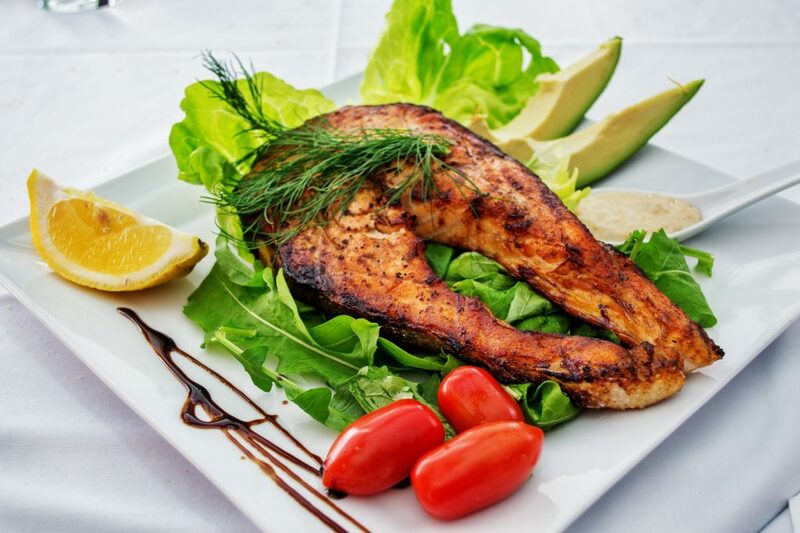 In the meantime, if you’re trying to find some great places to eat out while on the keto diet, visit Restaurant Meal Prices today. We have a list of all the best menus and their prices for you to check out before making a reservation.